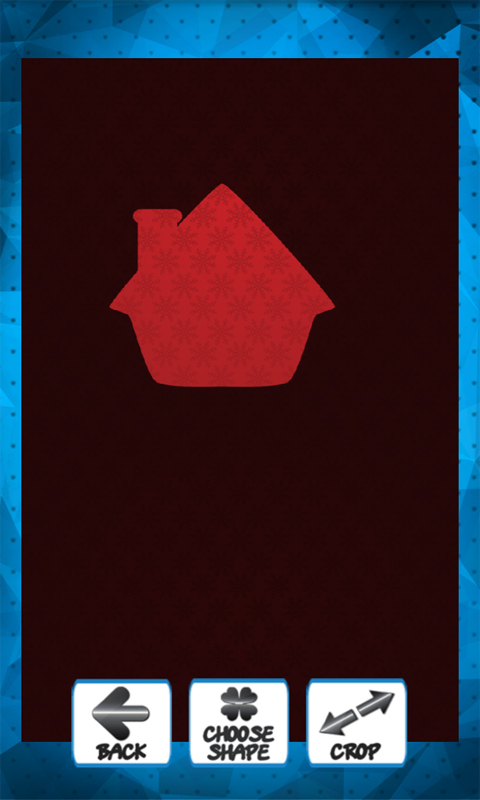 Use the newest ◙Christmas Dinner Invitations◙ to make unique cards that you can use to invite guests to a special event. 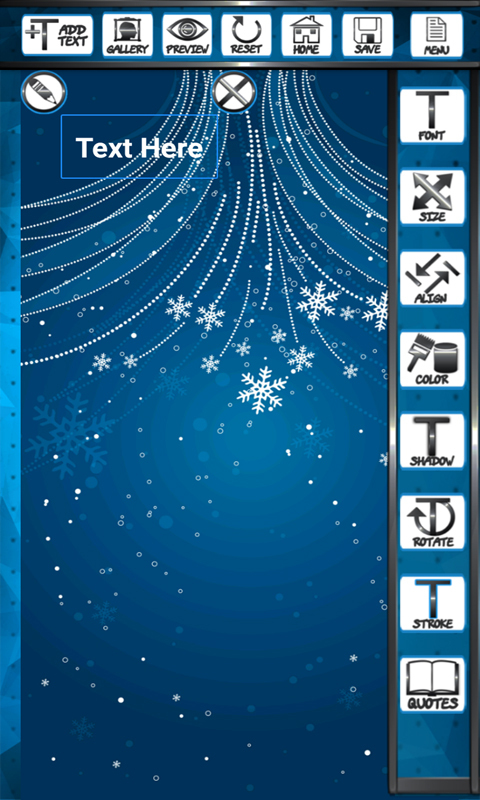 This top app was made for Xmas and with it you can express your creativity and personalize your invitation. 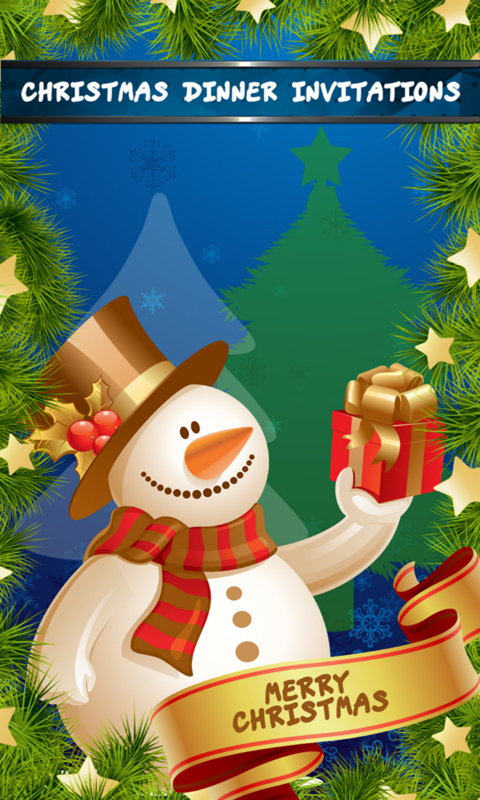 If you are the type of person who likes small things and who likes to surprise others, then you will surely like what we have to offer. 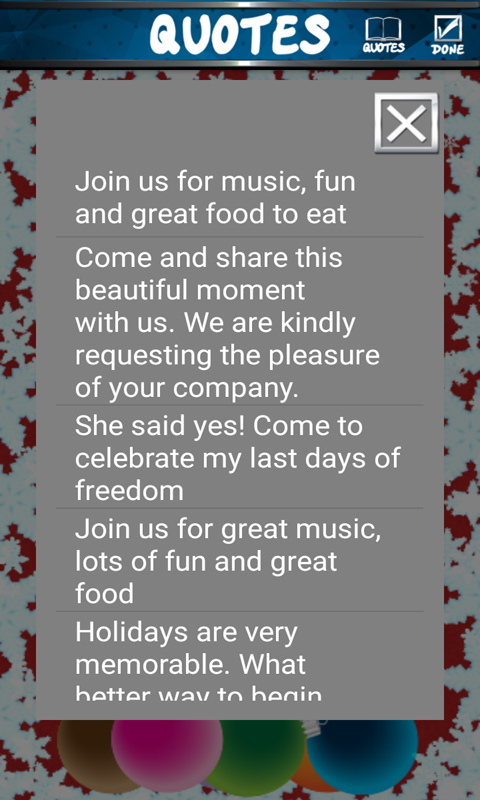 Sure, everyone can invite their loved ones to a Christmas dinner over the phone, but by making an invitation you make something that can be kept as a memory and that can later remind you of good times you had with your family. 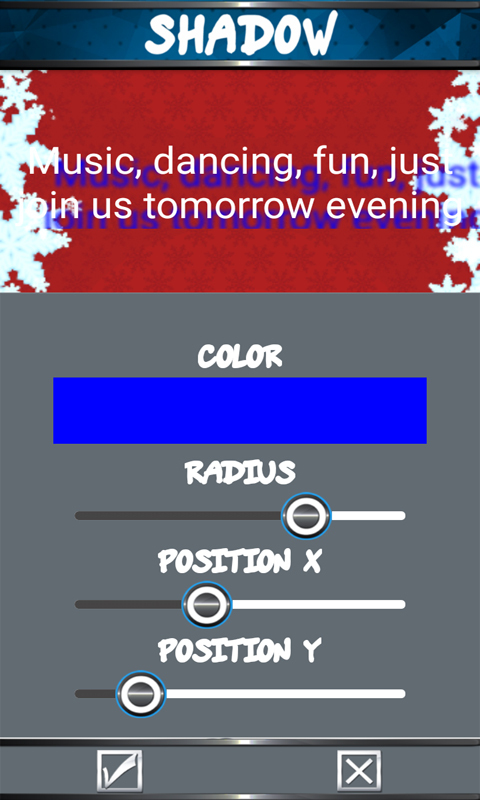 Our awesome application offers something totally unique and it has so many options that will help you to make wonderful invitation card. 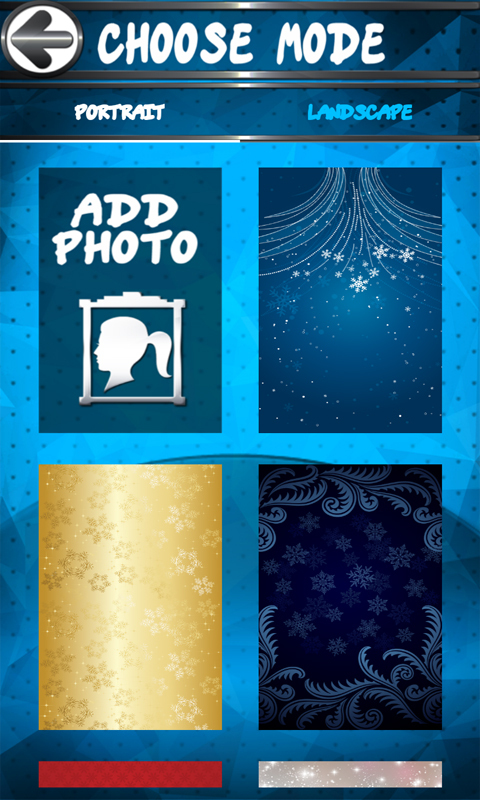 You can find a lot of backgrounds for your card in this cool invitation maker, so check them out and find the best one. Perhaps red one with shiny stars will catch your eye? It looks magical and it is perfect for a holiday card.